Wood is the number one material for beds. You can find amazing styles in wooden beds that range from classic to traditional and from modern to rustic, allowing you to create the most wonderful bedroom designs. You can have simple designs as well as carved for a charming bedroom synthesis. This goes for both adults and kids. You can have a bed design inspired from the Minecraft game. 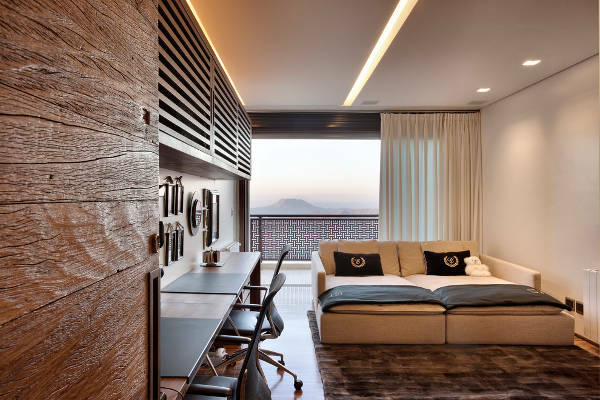 Choose a simple design in solid wood and bring it to life with matching bed linings as well as a pixel head board or wall design that’ll make the room look amazing. 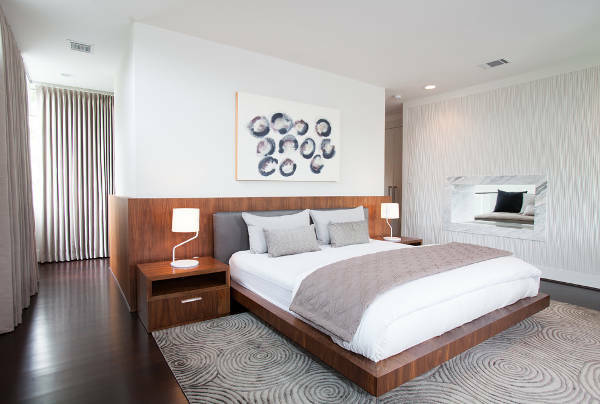 Platform bed designs have a unique and wonderful design. 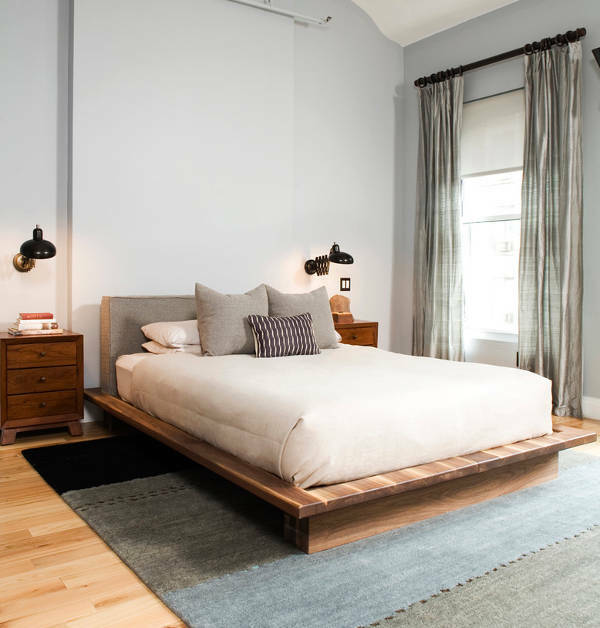 These designs don’t require a bed skirt, allowing the bed frame to be showcased while the tacked in bed linens create a neat look. 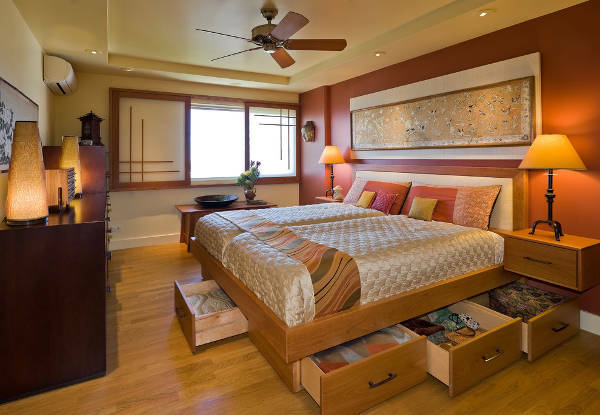 Influenced from Asian style you can find amazing beds that come in a variety of impressive styles. 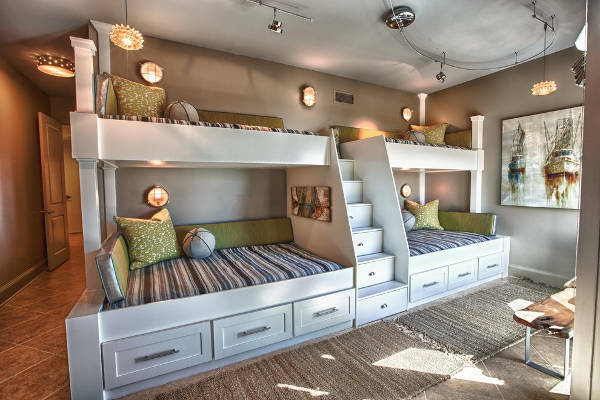 Bunk beds have come a long way from the simple metallic or wooden designs. Nowadays you can find many interesting designs that are suitable for kids and adults. The available designs get inspired from nautical themes while you can personalize them according to your tastes and needs. 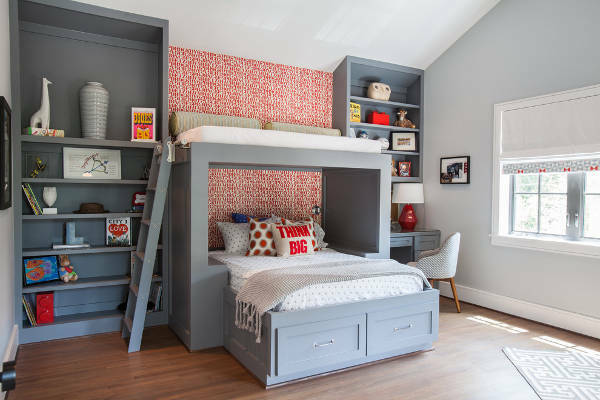 Make every inch square of space count with a loft bed design. These have the bed raised from the ground allowing the space underneath to be used for other purposes like office, dresser or a sitting area. 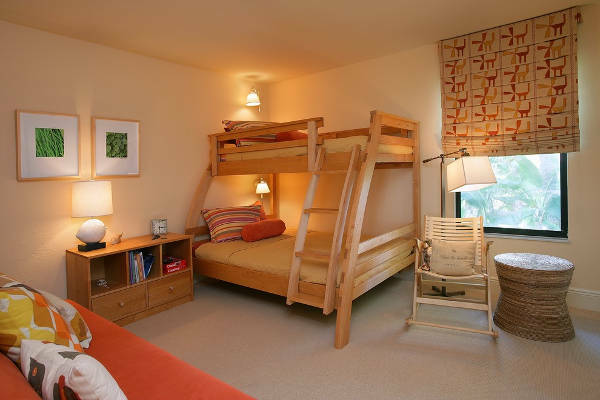 Loft beds are ideal for small spaces allowing you to use them vertically. 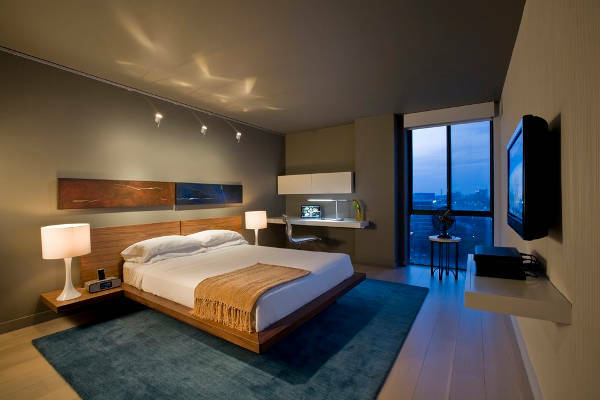 You can choose the ambience of your bedroom with the right bed design. Modern designs require a subtle energy that will add character in the room without monopolizing it with ornate decorations. They are available in many designs with various materials to choose. Kids love vibrant colors so this should be the first clue for choosing a bed for your kids. There is a great variety of bed designs that are inspired from famous cartoon characters and action heroes. A colorful and creative design will make your kid’s bedroom look like a playroom. Space saving techniques can help you create a fully functional space despite the smaller size of the room. A Murphy bed design allows you to use a mechanism that can hide the bed during the hours that is not needed. This can be mostly convenient for small studio apartments. In case that the bed is for a teenager’s room then choose a versatile bed that can be incorporated in any style. You can choose modern designs with masculine style for boys and classic for girls in feminine tones. The bed should reflect the individual’s personal style and taste. In many cases, the space under the bed remains unused. However this space can be used for storage purposes that can keep your bedroom organized and tidy. For this you need a bed design that has in built drawers to help you store everyday items as well as seasonal clothes. One of the best ideas that are suitable for rooms like the office and the living room, are the sofa bed designs. You can find numerous sofa designs that can be turned into fully functional and comfortable beds, turning your office and living area into an impromptu bedroom for guests. 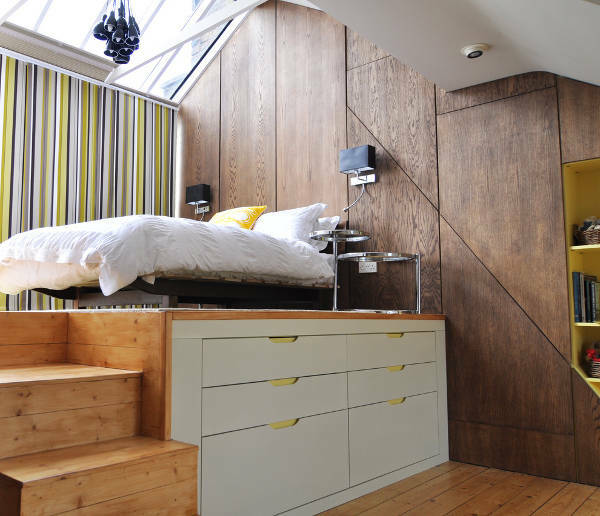 Build in bed designs allow you to save space. They take less space since they are part of a multifunctional design, providing with extra moving space. This idea is perfect for small rooms while it can provide with additional storage space. 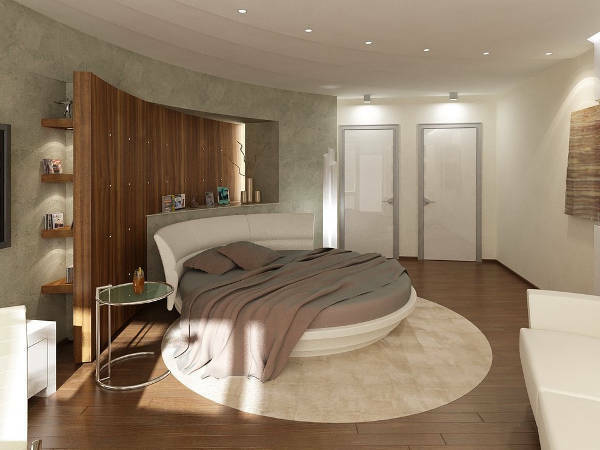 Round beds are exceptional adding a unique tone of elegance in a bedroom. If you want your bed to make a bold statement in your bedroom then the round design should be the one for you. You will find them in a combination of materials that look and feel luxurious. If you prefer a classic look for your bedroom then you can go for a traditional bed. The carved details on the bed frame will add a touch of elegance that you can fully take advantage in order to make you bedroom look charming and scrumptious. 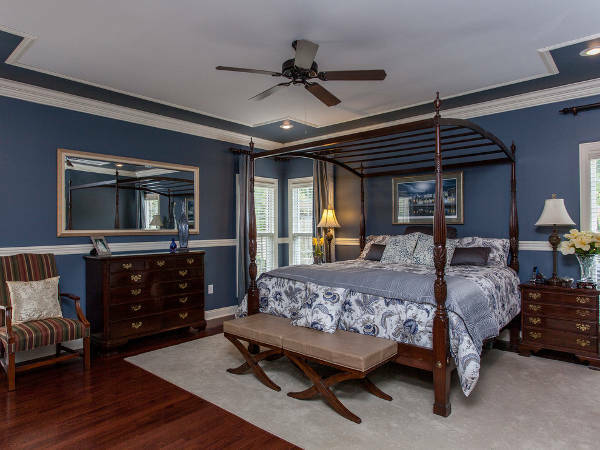 Choose the right bed for the right bedroom. 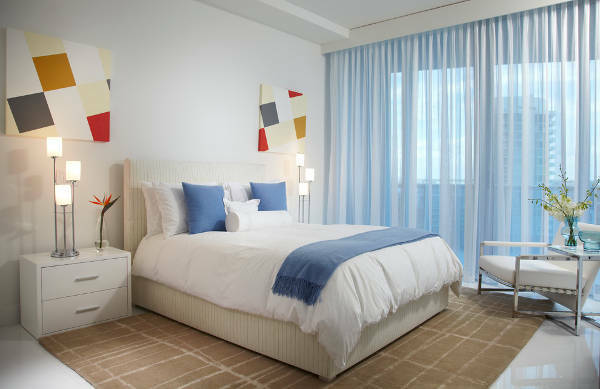 From kid’s beds to floating beds, there is a great variety of designs and styles to choose in order to create peaceful and inspiring bedrooms for yourself and your family. We hope that this guide has pointed you to the right bed.